In Shaar HaGilgulim (hakdama 36) , Rabbi Yitzchak Luria, (the Arizal) writes that Moshe was a reincarnation of Adam's third son, Sheit (Seth), and that Sheit was a reincarnation of Hevel (Abel). (The "mem" of Moshe's name stands for "Moshe," the "shin" stands for Sheit, and the "heh" for Hevel. 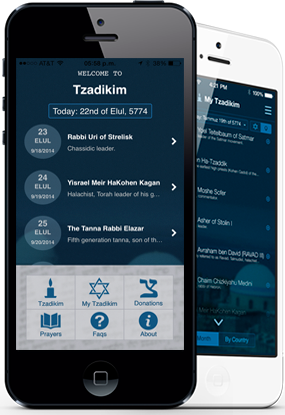 Rabbi Shimon Bar Yochai and Rabbi Yitzchak Luria were the reincarnation of Moshe Rabeinu. "A man went from the house of Levi and he took a daughter of Levi." (Ex. 2:1)Rabbi Chaim Vital here raises a question. When Amram took Yocheved as his wife, she is called a "daughter" implying that she is still very young. Yet, in the next verse she is immediately called a "woman" as it says, "and the woman conceived." How is it that in just a moment Yocheved was transformed from a young daughter into mature woman? Rabbi Chaim answers quoting the Gemara (Sotah 12a) which states that Yocheved was actually 130 years old when she became again like a very young girl (daughter). The secret behind this is that Yocheved was the reincarnation of Eve, the wife of Adam. Just as Adam separated from Eve for 130 years until Seth was born, thus Yocheved, the reincarnation of Eve did not give birth to Moshe Rabbeinu, the reincarnation of Seth, until she was 130 years old. This is why she is called a daughter for it was at that moment that the soul of Eve incarnated within her. Immediately thereafter, she is called a "woman" to hint to the presence of Eve in her soul. "She called his name Moshe, as she said, for I drew him from the water (m'shiti'hu)." (Ex.2:11)Moshe emanates from the Da'at of Z.A. (Zeir Anpin), which includes within it the first level ChaGaT(the sefirot Chesed, Gevurah, Tiferet) of Z.A. 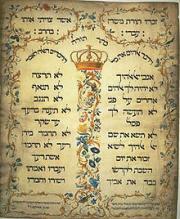 From these come forth the ChaBaD (the sefirot Chokhma, Binah, Da'at). The letters of Moshe's name signify the three sefirot of ChaGaT. Mem is Chesed, Shin is Tiferet and Hey is Gevurah. Their normal order, however, should be MaHaSh (Mem=Hesed, Hey=Gevurah, Shin=Tiferet). This then is one of the 72 triads that comes forth from the verses Vayisa, Vayavo and Vayet (Ex. 14:19-21) which is the Name of ChaGaT. Thus it would have been appropriate to call Moshe "Mahash," and not Moshe. However, the pasuk says, "drew him from the water (m'shiti'hu)." The letters in the pasuk are in the order Mem, Shin, Hey. Thus, Moshe is called Moshe and not MaHaSh. Yet, the order of the letters in his name expresses a significance of sefirotic interactions. The attribute of Chesed (mercy) which corresponds to the element of water takes precedence. If, however the letter Hey was the second, or middle letter of Moshe's name then the sefirat Gevurah relating to that letter would be in the center column. All things therefore would have to be balanced and judged by its severe standards. HaShem in His mercy however placed the letter Shin in the middle, both in the sefirot above and in Moshe's name below, so that the attribute of Tiferet could dispense justice and grace instead of severity. Thus, the center column would be more inclined to lean towards the right, the side of mercy. In this way, we can stand before God our blessed Creator knowing that His beneficent grace will forgive our sins and enable us to stand before Him. This would not have been the case if Gevurah was in the center column. For then, if we lacked the merit we would find only punishment. Now we have hope. Moshe was born on the seventh of Adar (Megillah 13b). On the seventh of Adar, Moshe died (Megillah 13b). Moshe :"I am 120 years old this day (Deuteronomy 31:2), today my years are complete to the day" (Sifri Devarim 2). Moshe resembled an angel of G-d (Pirkei d'Rabbi Eliezer 48). Moshes' face was like the sun as a sign of his outstanding wisdom in Torah (Maharsha) (Bava Batra 75a). He was beautiful, and everyone wished to gaze upon him (Shemot Rabbah 1:26). Moshe and Aharon looked alike. Whoever saw our Teacher Moshe thought that he was Aharon, and whoever saw Aharon thought that he was the father of all the prophets (i.e., Moshe). Their sons, too, looked alike (Ginzei Shechter 1:94). Moshe was ten cubits tall (Berachot 54b). Moshe was mighty (Nedarim 38a). All seven days of the dedication of the Tabernacle, Moshe assembled the Tabernacle and disassembled it twice daily, without the help of any member of Israel (Bamidbar Rabbah 12:9). He was as strong as a lion (Greenhut, Likkutim 5; Yelamdeinu Berachah 7). Moses went up from the plains of Moab to Mount Nevo (Deuteronomy 34:1). There were twelve levels, and he climbed them with one step (Yalkut Shimoni, Mishpatim 360). Moses' voice carried the distance of a forty-day walk (Mechilta Bo 14). Diligent in his work (Proverbs 22:29) refers to Moses. He tended the sheep in the desert, worked diligently, and made peace between the shepherds and Jethro's daughters (Pesikta Rabbati 6:8). Had Moshe been more forbearing, he would have been saved, but the people of Israel provoked him and angered him, and he was not sufficiently forbearing (Kohelet Rabbah 7:7). Moshe was equal to Israel, and Israel to Moshe (Mechilta Yitro 1:1). Moshe was equivalent to 600,000 of Israel (Tikkunei Zohar 19:40). Moshe acted in place of a seventy-one member Sanhedrin (Sanhedrin 16b). No generation is without someone like Moshe (Bereishit Rabbah 56:7). Moses was the exact image of Adam (Zohar 1:28a). On two occasions Moshe spoke like Aaraham, but it did not avail him (i.e., he did not merit what Avraham merited, in requesting kingship and priesthood, and in requesting entry into the Land of Israel) (Devarim Rabbah 2:7). The seven shepherds (Micah 5:4) are as follows, David in the middle, with Adam, Seth and Methuselah on his right, and Avraham, Yaakov, and Moshe on his left (Succah 52b). Two good leaders arose for Israel: Moshe and David (Sifri Devarim 26, beginning of Va'etchanan). Three good leaders arose for Israel. These were Moshes, Aharon, and Miriam (Ta'anit 9a). Moshe and Aharon were equal to one another in righteousness (Eitz Yosef) (Bereishit Rabbah 1:15). Moshe and Elijah were like one another in all things (Pesikta Rabbati 4:11). Moshe was the teacher, David the disciple (Shocher Tov 14:6). The Holy One, Blessed is He, said to Moshe, "I have appointed you King over Israel" (Vayikra Rabbah 31:4). He sat like a King on his throne, and everyone stood before him (Mechilta Yitro 1:1). The back of Solomon's throne was carved on top like the chair of Moses (Pesikta d'Rav Kahana 1:131). Moshe requested the kingship, but it was not given to him as something to be passed on to his children (Torah Temimah, Shemos 3:5) (Zevachim 102a). Moshe would say, "Let justice pierce the mountain" not requesting mercy (Sanhedrin 6b). Fear of G-d was a small matter for Moshe, it was easily attained (Berachot 33b). Moshe called himself a servant of G-d, and the Holy One, Blessed is He, called him one (Sifri Devarim 27). Moshe was peace loving (ibid. 199). Moshe grew wealthy from the remnants of the gem from which he carved the Tablets (Nedarim 38a). Our teacher Moshe was a high priest, and he received a share of the sacrifices (Zevachim 101b). Moshe served as a priest only during the seven days of the dedication of the Tabernacle. Some say, Moses' priesthood stopped only with his seed and not with Moshe, who remained a priest (ibid. 102a). Moshe and Aharon fulfilled the entire Torah, yet they died as a result of their sins (Shabbat 55b). In a single year, three righteous people died, Moshe, Aharon, and Miriam (Sifri Nitzavim 304). All that Moshe requested to see before his death the Holy One, Blessed is He, showed him (Mechilta Beshalach 5:2). "You have enough" (Deuteronomy 3:26). "Moshe," said the Holy One, Blessed is He, "there is much waiting for you in the World to Come" (Sifri Va'etchanan 29). May the merit of the tzaddik Moshe Rabeinu protect us all, Amen.